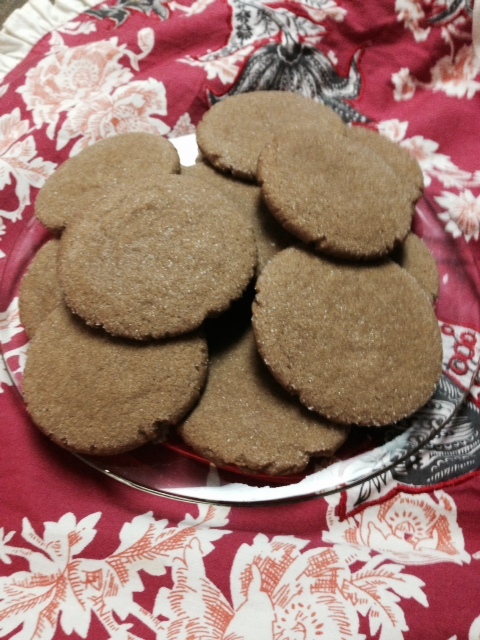 Gingerbread cookies and holidays are pretty synonymous. You can use this recipe to make gingerbread men but I prefer to “cheat” on this one. Making small 1 inch balls and flattening them with the bottom of a glass dipped in sugar is way easier, and the extra sugar on top gives a nice sweet layer! Just be prepared to want to dig into them right away- they smell amazing while they are cooking! In fact, I’m pretty sure that it is impossible not fall into the holiday spirit while these are baking! 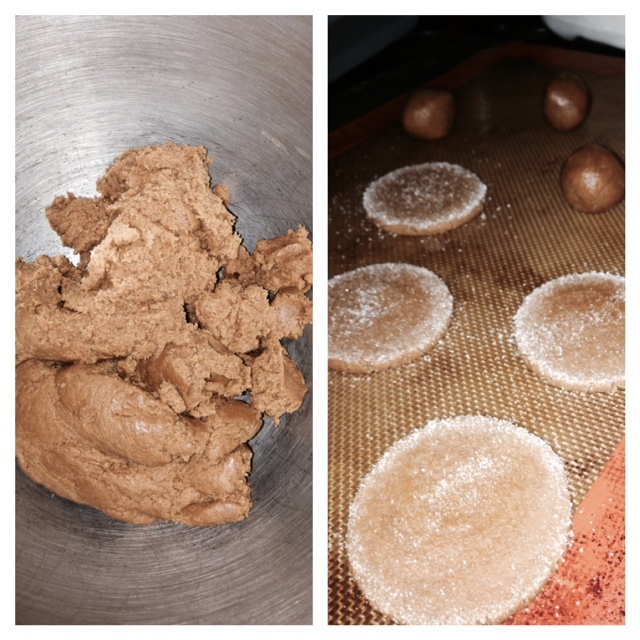 They are one of my favorite recipes to make and I’m not even a huge gingerbread fan! But they smell so good! Gradually stir in dry ingredients until blended and smooth. Dough will be pretty heavy and thick. Don’t worry! You did it right! Allow cookies to cool slightly before removing from sheet and allow to completely cool on rack.